History: The Shin-Jin are born from magical fruits that grow off of the Kaiju. They are genderless, despite them appearing as male and female. The average Shin-Jin possesses special abilities that far surpass that of any sort of un-trained normal being. Shin-Jin live leisurely lives, studying various things at a castle-like school. The Shin-Jin lifespan is roughly 75,000 years, however those born from golden magical fruits can live for several millions of years. Whenever one of the Kai on the Kai planets passes away, the Shin-Jin draw lots among themselves to choose who will take the Kai's place and become a new Kai. The Supreme Kais, however, are chosen only from among Shin-Jin born from a special golden fruit that is particularly rare. However it is possible for a Kai to attain the position of Supreme Kai (this requires Lawful Good Alignment). 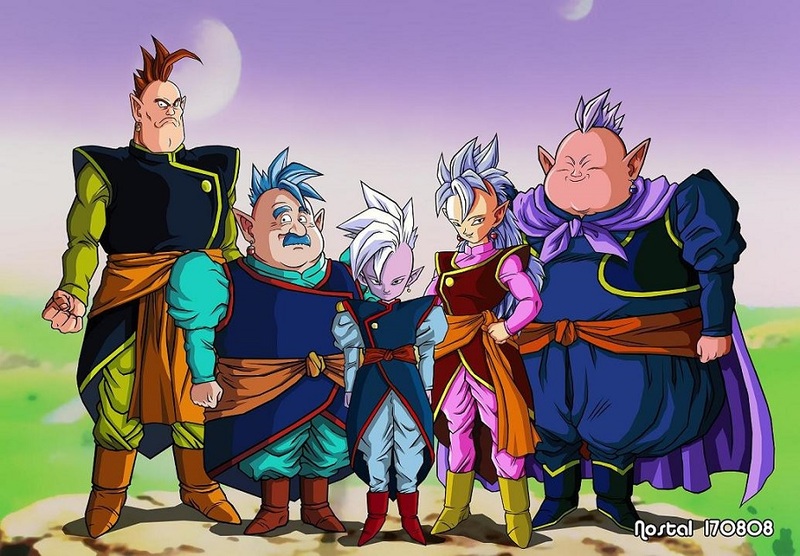 Appearance: Most Supreme Kai have the same general appearance: tall and thin humanoid with white mohawks and sharply pointed ears, generally only differing in skin color and other minor details. However, Shin-Jin can vary in appearance greatly as each being is different.